The Valley Stream Union Free School District Thirteen’s Wheeler Avenue Elementary School fourth grade students recently created Doodle Bots—an object created out of recycled materials, batteries, simple wires, motors, and markers—that can move around and draw pictures. The students were tasked with building the Doodle Bots, using their knowledge of energy, circuits, kinetic motion, and design, culminating in the successful engineering of the robot creations. 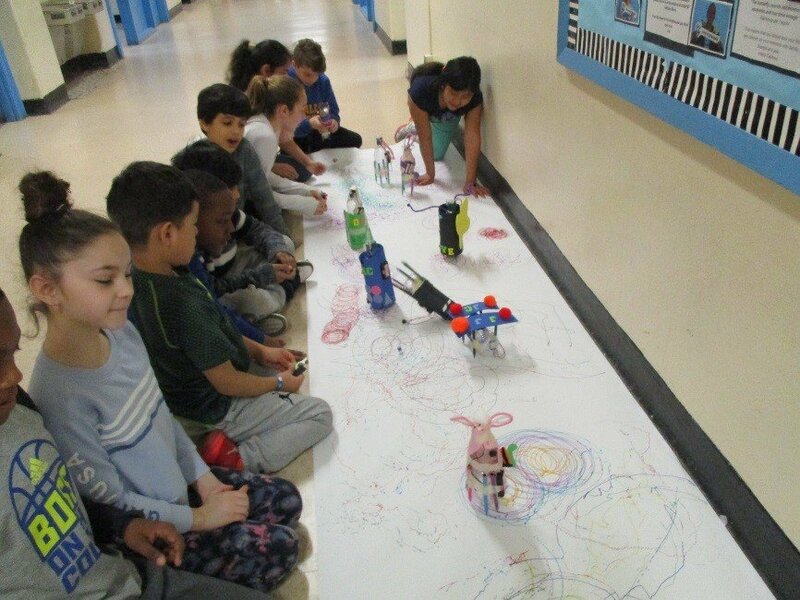 Students gathered in the hallway to test out their Doodle Bots and watched in amazement as their creations illustrated colorful designs on a massive poster board. The District continues to integrate STEAM into all aspects of students’ daily curriculum and extracurricular activities, fostering student interest in new topic areas to explore.